California and Nevada’s Death Valley, located in the Mojave Desert, is the official winner with a record-breaking high of 134 degrees Fahrenheit recorded there on July 10, 1913. 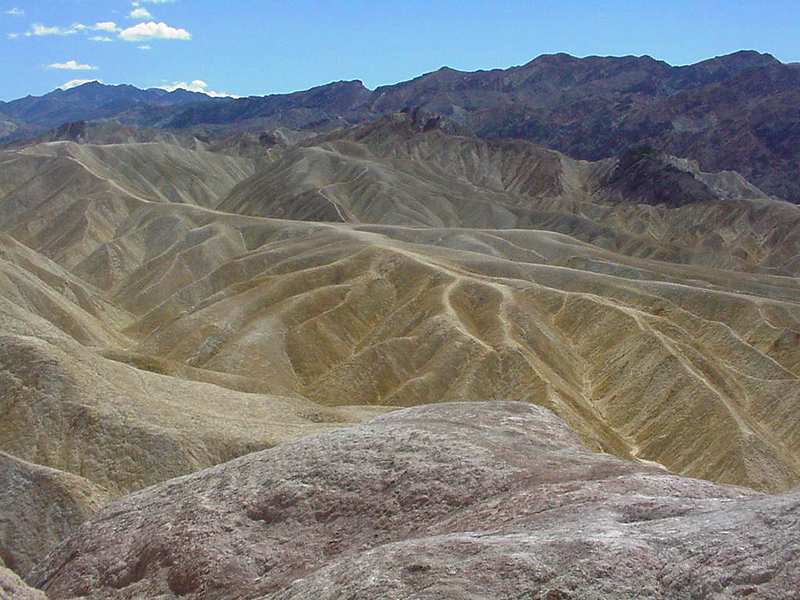 Located in a below-sea level basin, Death Valley is not only the hottest place on earth, it is the driest and the lowest place in the United States. Remarkably, it is nonetheless home to over fifty-one species of mammals, including coyotes, mountain lions, burros, bobcats, sheep and foxes; over three-hundred species of birds; and thirty-six species of reptiles. Death Valley’s longest summer ever took place in 2001 when the temperatures climbed into the triple digits for one-hundred-and-sixty consecutive days. 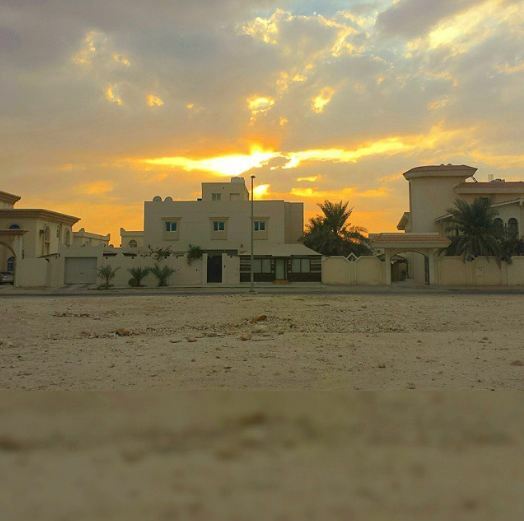 Al’ Aziziyah, a small town in northwestern Libya is believed to be even hotter than Death Valley with National Geographic having recorded a reading of 136 degrees Fahrenheit there on July 13, 1922. However that reading was never officially recognized. Not to be outdone, if you live in Texas, the summer temperature in your attic has likely matched that of Death Valley and Al’ Aziziyah. An unventilated attic in the Texas can reach a temperature of 140 degrees in the middle of summer. If an air conditioning technician pays a visit to your attic, he may come down every so often to chug-a-lug the cold water he carries in his van. He’s not shirking his work, just trying to avoid heat stroke. And his uniform, fresh and pressed in the morning, may have wilted by noon. But he’ll do what he can to keep you and your family cool. As you may have figured out, the heat that builds up in your attic is transferred through your ceiilng into your living quarters. This makes your air conditioner work harder and your electric bills soar higher. To improve the efficiency of your cooling system, consider ventilating your attic. A power attic ventilator (attic fan) can lower your attic’s temperature by as much as 30 degrees during the summer by drawing fresh air in and forcing hot air out. Power attic ventilators can be purchased at most large hardware stores. You will likely need a roofer to install the hardware and an electrician to hook it up. In most cases, the savings you see on your summer utility bills will more than make up for the initial expense and your air conditioning equipment may last longer as it will not have to work as hard to cool down your home. Blogger Terry Portillo owns and operates ACU Air Heating and Air Conditioning in The Woodlands, TX. There’s nothing like buying a new car (new to us, anyway) – until it comes to making room for it in the garage. In fact, that’s what I’m taking a break from, right now, as I write this post. Despite the fact that Americans, on average, inhabit larger living spaces than any other people, rental storage space is a booming business in our country. How do we accumulate so much stuff? It’s said that work expands to fill time. Maybe the same law holds true for junk expanding to fill space. With a new car sitting in our driveway, it’s now my turn to declutter. Given that we live at the southern tip of Tornado Alley where thunderstorms, high winds, and hail can strike at any time , tossing branches and toppling trees with the fury of a two-year-old denied a purchase from a passing ice cream truck, we think it best to keep the new vehicle in the garage. Cleaning out my garage is proving to be an archaeological dig into my own personal past. Among other things, I have unearthed the flashcards I used to teach an ESL class back in the 20th. Century, the wooden alphabet blocks which were already old when I played with them as a child, the punchbowl and glasses we drag out and rinse out and use about once a decade, my entire library of LP’s, a light-bulb powered Queasy Bake Oven, an old-fashioned English pram filled with deflated soccer balls, and a dozen paint cans, each containing a thin and now thoroughly parched layer of the paint we were keeping for touch-ups. Enough stalling (me, not my faithful Toyota!). It’s time to tear through the cobwebs, peer into those mystery boxes over in the corner of the garage, and load up the old car once more. Recent triple-digit temperatures have had a strange affect on the fauna inhabiting the pasture outside my office window. Unlike our suburban home, our office and warehouse occupy a semi-rural lot spanning a couple of acres. Several years back, my husband committed bribery when he told me I could get a horse if I would leave my teaching career to run our air conditioning company. Having longed for a horse since I was ten, I quickly caved. I took on the role of office manager and soon afterwards adopted Cisco, an eighteen-year-old rescue horse. Theodore, our Sicilian donkey, was an afterthought. Horses are sociable animals which should not be kept alone and a bit of research revealed that a donkey would make an economical, low-maintenance companion. Four-year-old Theodore swaggers about the pasture like a gang member trespassing on some rival’s turf. At the same time, he has his soft side. If I ask him for a “donkey hug” (you ask a donkey, you don’t tell! ), he’ll walk over and rest his extraordinarily heavy head upon my shoulder. As the summer temperatures have soared, Cisco, the horse, and Theodore have been spending less time grazing side by side in the pasture, as the heat has driven them to pass most of the day beneath two widely separated shade trees. The other day I looked out my window to see that Cisco had left the shelter of his tree to graze awhile on the sun-scorched grass and that he had acquired a new companion — a small, nondescript bird. The bird followed Cisco everywhere he went, hopping when the horse walked, stopping when the horse stopped. It had to be a coincidence, I told myself as I went back to work. Fifteen minutes later, I looked out the window again. The horse and the bird were still together. Another thirty minutes went by and I looked again. The bird was still sticking close to his newfound thousand-pound friend. Occasionally the horse would walk away without the bird realizing it. Moments later the bird would crane his neck, turn his head to locate the horse, and hurry after him. Eventually I figured out the source of this unlikely relationship. The sun was beating down upon the pasture and the bird was using the horse for shade. He was not so much following Cisco around as he was taking pains to remain in Cisco’s shadow. Later, when Theodore ventured out from the shade of his tree, another bird tried to take advantage of his shadow, but the donkey would have none of it. Every time the bird got too close, Theodore swiped at him with his famous, dangerous sidekick. Not on my turf, Buddy. The bird soon gave up and flew away. In this month’s issue of National Geographic, there’s an article about an astronomer, Roger Angel, who wants to launch trillions of thinner-than-tissue silicon nitride disks into space where they will, together, shade a section of the earth to counteract the effects of global warming. If Angel has his way, maybe we should name the manmade silicon constellation Pegasus – the flying horse which shades us from the sun. After a long drought and two months of triple digit heat, everyone in the Houston area yesterday exclaimed on their cell phones and in text messages, with a joy normally reserved for announcing the birth of a baby or a winning lottery ticket, “It’s raining here! Is it raining where you are?” Yes! We had all won the weather lottery. The world outside my window is once again green — at least those trees and shrubs which survived the first two months of summer. This morning, following yesterday’s showers, it was so humid outside we woke up in a submarine world. Condensation coated every single window so that we looked out at the fresh, green yard through a thick film of water. I hummed “We all live in a yellow submarine…” as I snapped on my dogs’ leashes and stepped out into the wild, wet world. The Houston radio stations are calling this The Mother of All Summers and with good cause. The local temperatures hit the triple digits in early June and have pretty much stayed there ever since. The air conditioning calls have been coming in steady and rapid as machine gun fire. Pete and Sosa, our guard dogs, are now inside the office soaking up the air conditioning. Even though they have a pond to cool off in, it seems too cruel to keep them outdoors when we’re in the business of keeping people cool. Meanwhile, our service technicians, who brave hundred-and-twenty degree attics daily, complain that the dogs are receiving better treatment than they are! You are currently browsing the archives for the Climate – Weather category.